You would have perhaps noticed a number of American pet stores selling tarantulas. They call this species as the Chilean flame tarantula, Chilean rose hair tarantula, Chilean red-haired tarantula (as per its color morph), Chilean fire tarantula or Rose Hair Tarantula. Its biological name is Grammostola Rosea. This variety of tarantulas is available in large numbers in Chile. They export it to the US at very low prices. 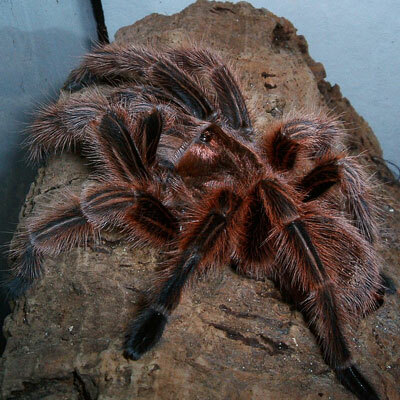 You can get a Rose Hair Tarantula for sale in most parts of the United States. 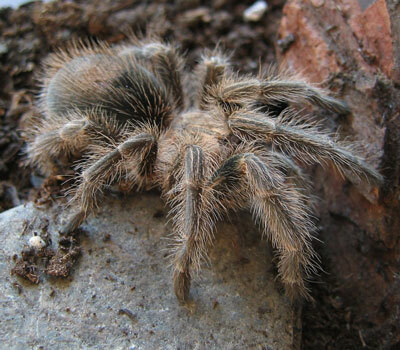 G. Rosea is a popular pet of people who like to rear tarantulas. The known estimated life of females varies from 15 to 20 years but since they have not been available in the market for a very long time for a broad study, they may live even longer. G. Rosea is the natural inhabitant of the desert and scrub areas of Northern Chile, Argentina and Bolivia. Not long ago, they biologists considered them drifters but now it they realize that they live in burrows, their natural home. Generally they are active at night and do not burrow when in custody. Rose Hair Tarantulas are not very active and will be happy in a tank of ten gallons. Though docile, they are hostile to other members of their family. Therefore, each tank should house only one specimen. They do not require very tall tanks and prefer more floor area. It is nice to keep a cork bark or hollow log in the tank and thus provide them space for hiding. You may also add artificial plants and vines for them to climb onto and feel more secure. This rose hair specimen of the tarantula family has a very assorted diet, including beetles, crickets, cockroaches, moths, grasshoppers and mealworms. If you keep tarantulas as pets, the best food you can offer are crickets, raised on vegetables as this proves their greatest source of hydrated nutrition. For long tarantula, keepers have bred the Grammostola Rosea in captivity for reasons of trade and research. Most experts suggest that you keep the females for a couple of months in a cooling period before you consider introducing a sexually mature male in its cage for mating. Most mature males will first spin a sperm web before you introduced him to the female’s terrarium. He will try to seduce the female out of the burrow by vibrating his legs and tapping the burrow. When he finds it ideal, he will lunge forward and use his hooks to hold the female’s chelicerae, at the same time pushing the female into a vertical position to access her external genitalia or epigyne. He will use both his right and left pedipalps to hold the epigyne and inject his sperm into her. On fertilization, the female spins a large silk sac to house her 500 odd eggs that will hatch into spiderlings. 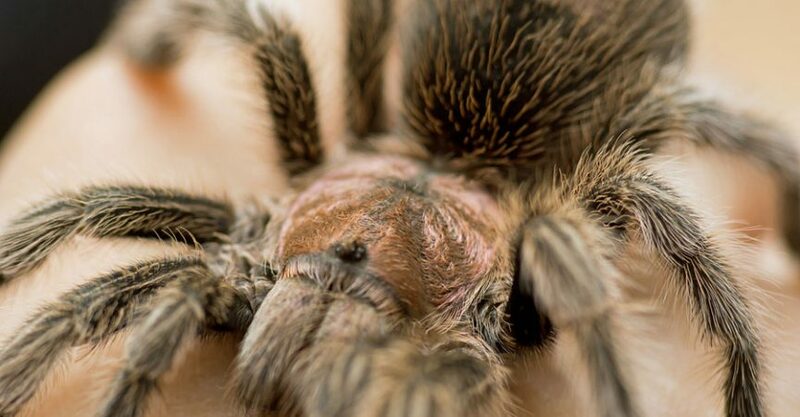 However, compared to several other of its species, the Rose Hair Tarantula is a peace-loving arachnid; its bites are both venomous and painful. It creates additional discomfort when it releases the hairs on its abdomen, which can create very painful irritation, and discomfort in your body and especially to your eyes. Therefore, you would do well to observe and enjoy the antics of your Rose Hair Tarantula, but desist from handling it. You can get a Rose Hair Tarantula for sale in most pet shops and if you insist, use gloves before you handle this spider.